Bruckner, Anton, 1824-1896. 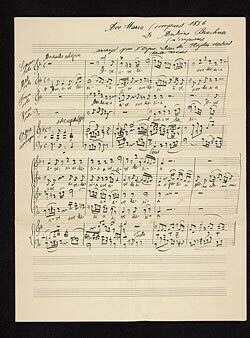 Ave Maria, mixed voices, violoncello, organ, F major; arr. . Ave Maria in F major (1856) arranged for organ by Karl Navrátil : manuscript in the hand of the arranger, [1856-1896].